When the COAL21 Fund was established, very little was known about geological storage potential in Queensland. 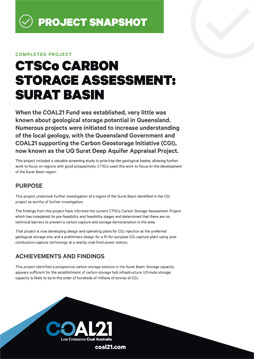 Numerous projects were initiated to increase understanding of the local geology, with the Queensland Government and COAL21 supporting the Carbon Geostorage Initiative (CGI), now known as the UQ Surat Deep Aquifer Appraisal Project. This project included a valuable screening study to prioritise the geological basins, allowing further work to focus on regions with good prospectivity. CTSCo used this work to focus on the development of the Surat Basin region. This project undertook further investigation of a region of the Surat Basin identified in the CGI project as worthy of further investigation. The findings from this project have informed the current CTSCo Carbon Storage Assessment Project which has completed its pre-feasibility and feasibility stages and determined that there are no technical barriers to prevent a carbon capture and storage demonstration in the area. That project is now developing design and operating plans for CO2 injection at the preferred geological storage site, and a preliminary design for a fit-for-purpose CO2 capture plant using post combustion capture technology at a nearby coal-fired power station. 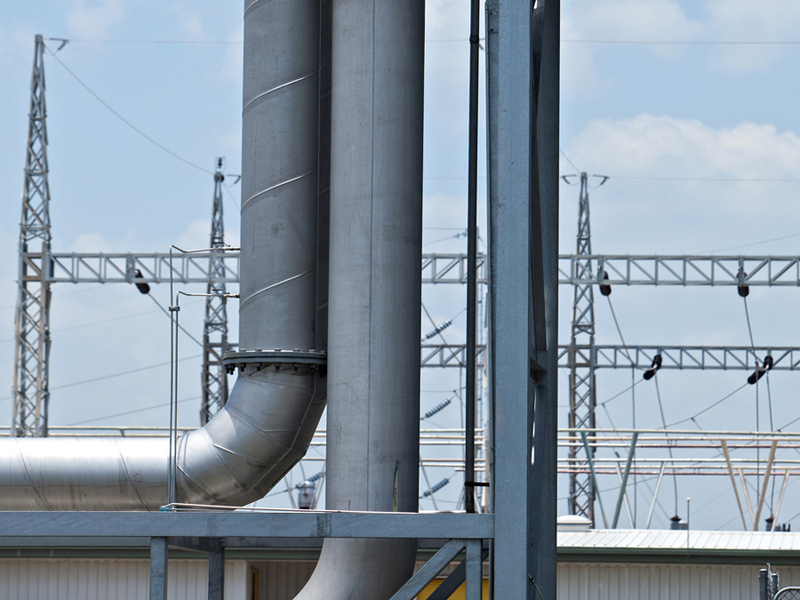 This project identified a prospective carbon storage solution in the Surat Basin. Storage capacity appears sufficient for the establishment of carbon storage hub infrastructure. Ultimate storage capacity is likely to be in the order of hundreds of millions of tonnes of CO2. This project was undertaken in 2010. This project undertook a pre-feasibility study examining four locations for large-scale storage to service the storage requirements of the Wandoan Power Integrated Gasification Combined Cycle (IGCC) Project (which ultimately determined that while IGCC with CCS is technically feasible, it costs too much). The four locations assessed were within 200km of the town of Wandoan.